3 Comments on "Contact Us"
Cancel the season. I will never watch another pro football game as long as I live and most of my friends feel the same way. Discussion about the National Anthem should not even be an issue. WHAT HAS BECOME OF OUR COUNTRY. Mark here with Shinesty.com. 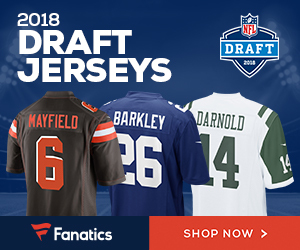 We’ve got some killer new NFL gear we would love for you to check out. Shoot us an email so we can discuss further! My name is Derek White, and I was wondering if NFL Gridiron Gab was going to be looking for any NFL Combine coverage coming up at the end of February? I currently live in Indianapolis, and would be very interested in covering the event for your site. Thank you for your time!